Have you ever heard a story that your grandparents, for example, told you and you were so fascinated to hear the story that you still remember it? With oral histories, a person is able to travel through time and imagine all the events and experiences that the narrator was living in those years. My name is Lupita Larios. 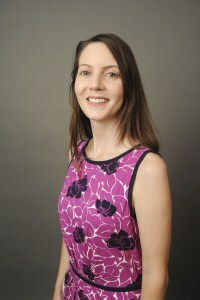 I am an undergraduate student double majoring in Portuguese and International Studies with a track in Latin American Studies. 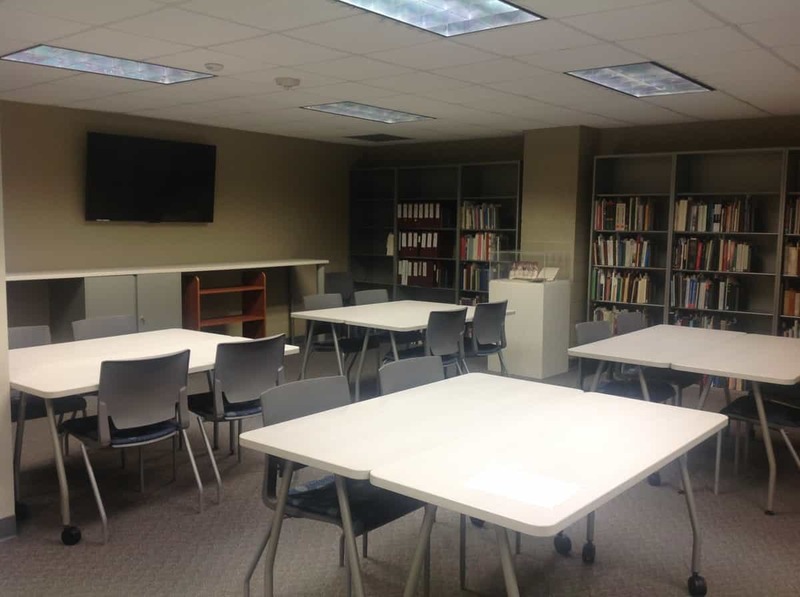 I have been working at the Iowa Women’s Archives for almost two years, transcribing the Mujeres Latinas oral histories. I have really enjoyed listening to and transcribing the interviews. I have learned about the Mexican-American culture, the Mexican society of the 20th century, the transitions that a person has to face to belong to a new society, and how the Mexican-American community tries to put in practice their version of Mexican traditions. They are husband and wife residing in Des Moines, IA. Irene was born in Oklahoma City, Oklahoma and Jose was born in Kennedy, Texas, both with Mexican ancestors. 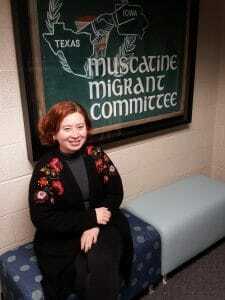 What I liked about this oral history is that they were involved in the Migrant Action Program. This organization advocated for the rights of the Latinx migrants especially farmers, to have better housing, childcare and medical assistance. Most importantly, to let them know that they had rights and that they employers could not ignore them. I also appreciate listening to their stories of success and advocacy with the Latinx community through this program. Berta was born in Mexico City in the metropolitan area of Coyoacán in 1946. What is fascinating about this story is that her descriptions of the streets of Mexico City transported me there. I was able pass the Hernan Cortez headquarters on her way to school; she described museums, baroque churches, and the Casa Azul, which is the Frida Kahlo Museum. In addition, it was very interesting to learn that her grandfather, Mardonio Magaña, was an important sculptor in the Mexican arts that gained the respect and support of Frida Kahlo and Diego Rivera. When Berta and her brother visited some family in Des Moines, she met Eddie. Eddie was learning Spanish and Berta was learning English. They kept in touch through letters to practice until their friendship grew into romance and they married. Ana was born in San Buenaventura, Honduras in 1929 where she grew up on a farm. Unfortunately, she wasn’t able to go to school in Honduras, because her father was afraid that she would run away if she fell in love. However, she still wanted to learn how to read and write, so she paid a teacher until her father found out and prohibited her from studying. 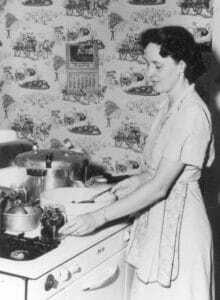 After she moved to the United States, most of her employers abused of their power by making her work long hours without liberty or benefits. One employer even took her passport so that she could not look for other jobs or go back to Honduras. After she had saved enough money to open a convenience store in Honduras, she decided to go back. The most heartbreaking part of her story is that when she returned, she discovered that her sister wasn’t taking care of her children like she had promised. The most devastating thing Ana recalled was that her daughter was living in rags and her ex-husband had taken their son to the banana plantations. Ana had to pay three hundred dollars to her brother in law to get her son back. These are just a few stories that I had worked on, but I always find something that is very interesting and that as Latina I can identify with. Even if people are not doing research for a paper, or looking for primary sources, I recommend that they take some time to come and read a little bit about the lives of some Latinas that arrived in Iowa. Read about the hardships and stigmas they faced, the new changes that they had to make, the racism they faced, their education and employment experiences, and their communities. Enjoy the ride and visit Iowa Women’s Archives! A Donation 46 Years in the Making! 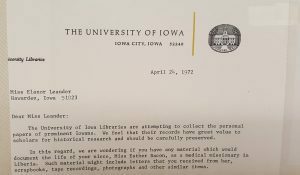 In 1972, the University of Iowa’s Manuscript Librarian, Robert McCown, wrote a letter to Nora Leander. He hoped that she would donate the papers of her aunt, Esther Bacon, an Iowan and missionary to Liberia from 1941 – 1972. 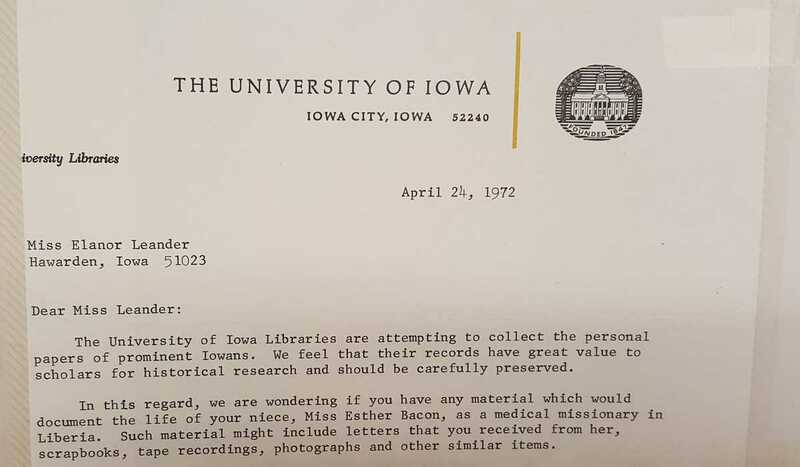 In 2018, Leander’s niece, Ann Prekker, found the letter among Bacon’s papers and decided to contact the Iowa Women’s Archives. She knew it had been almost 50 years, but were we still interested? Oh yes, we were! Three members of the Prekker family pose with assistant curator, Janet Weaver, and the Esther Bacon papers. Originally from Sioux City, Esther Bacon was a medical missionary in Liberia from 1941 – 1972 where she worked in the hospital at Zorzor. Through her work as a midwife, Bacon delivered over 20,000 babies and provided medical care to people of all ages. She died in Liberia after succumbing to Lassa fever in 1972. The collection includes photographs of Bacon’s time in Liberia, missionary newsletters, and many moving tributes to Bacon describing the lives she saved and the children she brought into the world. Bacon’s papers will join the papers of other Iowa women who chose to be missionaries such as Myrtle Hinkhouse, Marian Farquhar, and Marianne Michael. 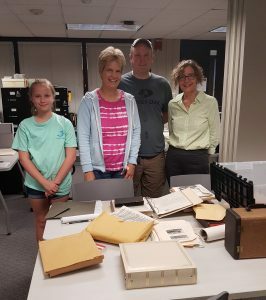 Prekker, her husband, and their two daughters traveled to Iowa City this week to donate Esther Bacon’s materials and we are so glad they did. It may have taken 46 years for the papers to get here, but they were worth the wait! emotions. They read about dances and concerts, world events, visits home, plans for the future, and daily life as a soldier. Evelyn was a remarkable correspondent, keeping in regular contact with several young soldiers who always answered her letters. We could see friendships and courtships in the letters, and students were so curious to know more about the writers that they went out of their way to learn about Evelyn and the men to whom she wrote. 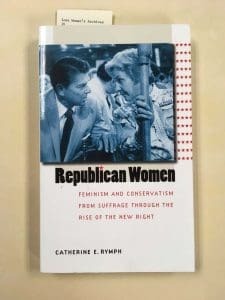 They discovered Evelyn’s life story, including her career as a columnist and radio broadcaster. 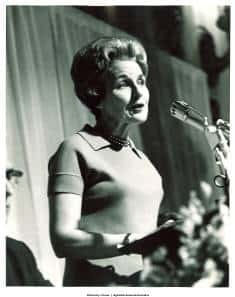 Through Evelyn’s website and Facebook page, students reached out to her, letting her know they were enjoying her letters in the Iowa Women’s Archives. We scheduled a phone call, and the whole class was enthralled by our conversation with Mrs. Birkby, who was then 94 and living in Sidney, Iowa. Students wrote papers and gave a speech about their explorations in the Archives. They also composed short videos that animated the letters and their research—you can watch one here: http://ir.uiowa.edu/ideal_archivesalive/30/. I still hear from Evelyn, now 97, who shares her writing and recipes in The Valley News of Shenandoah, Iowa. The Iowa Women’s Archives is approaching its 25th Anniversary in 2017. 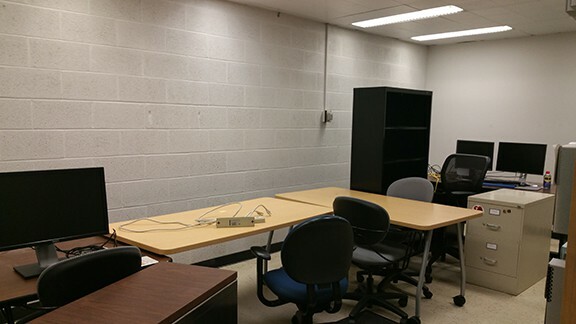 In preparation, through a series of fundraisers our donors have helped make it possible to update the Reading Room with new paint, tables, and technology. Most everything is place though some finishing touches like hanging artwork still remain. Sincere thanks to all of our supporters. Be sure to stop by and see our new look. My mentor and friend Bob McCown, retired Head of the Special Collections Department in the University of Iowa Libraries, died on March 31st of this year. To remember Bob on what would have been his 76th birthday–November 21st–I share the eulogy I gave at his memorial service last spring. Bob McCown was the first person I met in Iowa when I came for my job interview in 1992. On that April day twenty-three years ago, he was waiting at the bottom of the escalator in the Cedar Rapids Airport holding a sign that read: “Iowa Women’s Archives.” I was full of wonder about this new place that might become my home—amused at the scale of the airport, and charmed by the fact that we were driving past cornfields as soon as we left the parking lot. All during that drive to Iowa City, Bob told me about the history of Iowa—how it was settled, the Mormons who passed through with their handcarts, and other stories I have long since forgotten. What stayed with me was the sense of this kind, soft-spoken man who had such deep knowledge of and affection for his home state. Bob was Head of the Department of Special Collections at that time. 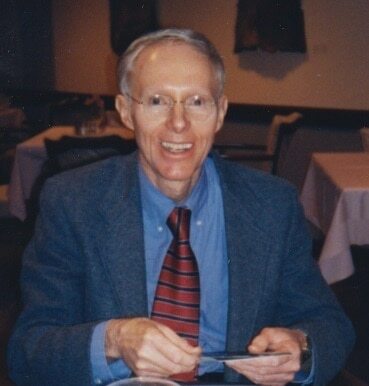 He had earned a master’s degree in history from the University of Iowa in 1963, taught high school history for a few years, and earned his library degree from Illinois before returning to Iowa in 1970 for a position in the University Libraries. Bob was hired as Manuscripts Librarian at a time when the new fields of social history, ethnic history, and women’s history were emerging. He began traveling across Iowa in the early 1970s, intent on acquiring sources that would make this new scholarship possible. But the recent student demonstrations in Iowa City had roused suspicion about the University of Iowa. So Bob shined his shoes, cut his hair, and put on a coat and tie to allay the fears of outstate residents. In his quiet and considerate way, he tried to persuade potential donors of the significance of their papers to history. He modeled his collecting on progressive institutions such as the State Historical Society of Wisconsin. In addition to the usual political papers, he sought the records of environmental groups, social action organizations, and women. Sometimes he was successful, other times not. But the seeds he planted in those early years continued to bear fruit five years later, ten years later, or even two or three decades later. Over the decades, Bob built a solid foundation for the study of Iowa history. He acquired farmers’ diaries, Civil War letters, merchants’ account books and railroad records. He solicited manuscripts by Iowa authors, and built on the already strong literary holdings of the department. 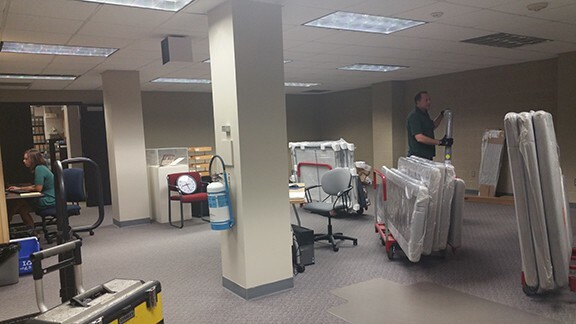 Special Collections has continued to build on the groundwork Bob laid over three decades. Of course, collection development was not Bob’s only work. He organized symposia, published articles, and edited the journal Books at Iowa and the newsletter of the Ruth Suckow Association. (He had a particular affinity for Suckow, not least because she hailed from his hometown of Hawarden.) Bob contributed to the archival profession through his service on the Iowa Historical Records Advisory Board and his longtime involvement with the Midwest Archives Conference. 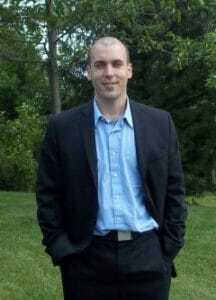 And he brought history home by presenting talks on a various topics to local organizations and clubs. But I keep coming back to Bob’s efforts to preserve Iowa history, because I believe that was his greatest achievement. Bob’s vision of what Iowa history could be led him to seek out those aspects that that had been neglected by archivists and historians alike. 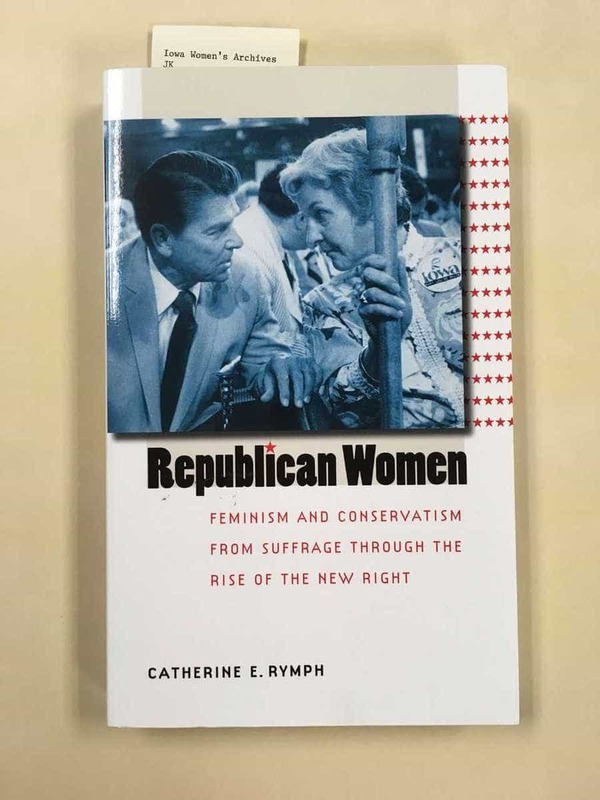 When women’s historians began asking for sources in the ‘70s, Bob combed the Special Collections stacks searching for documents by and about women. And then he went a step further. He began consciously seeking out women’s history. He acquired the papers of Minnette Doderer, the League of Women Voters of Iowa, and the Iowa Nurses Association. He had the foresight to contact Mary Louise Smith before she rose through the ranks to become the first female chair of the Republican National Committee; when Smith finished her term she made good on her promise to send her extensive papers to the University of Iowa, about which Bob was especially proud. 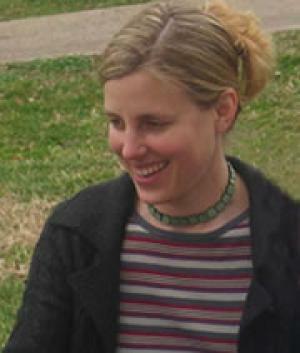 When Louise Noun suggested in the early ‘70s that the University Libraries beef up its holdings of women’s historical writings, Bob arranged to meet with her in Des Moines, initiating a relationship that would eventually lead to the creation of the Louise Noun – Mary Louise Smith Iowa Women’s Archives at the University Libraries. Bob’s careful plans for the archives, together with the papers of women politicians, artists, nurses, and lawyers he had gathered over two decades formed the core of the Archives when it opened in 1992. Equally important was the support and guidance he gave me. 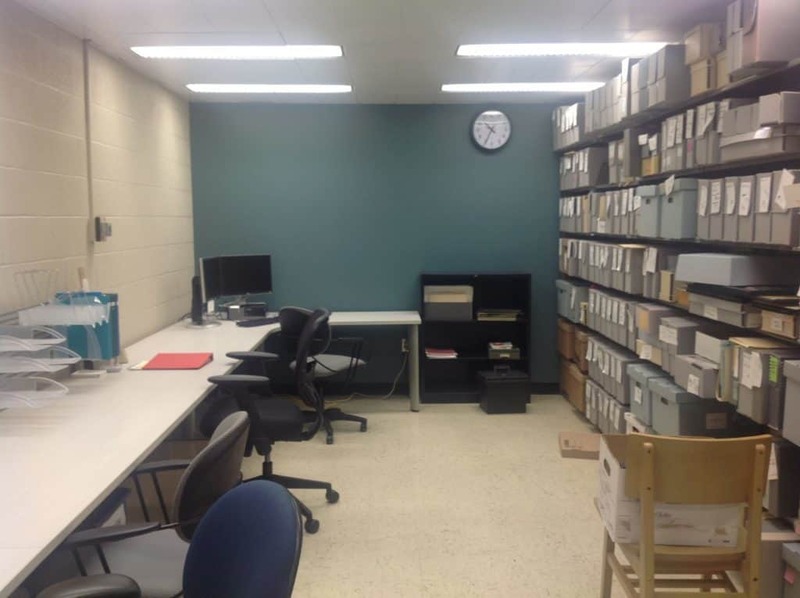 When I began work as the first curator of the Archives, I was pretty green, especially when it came to donor relations and collection development. But Bob was a great supervisor! He taught me everything, from how to write a letter and make a cold call to a potential donor, to the more mundane details—like how to get a car from the motor pool and fill out the countless travel forms. And then there were the finer points he’d learned from his own experience. For example, when you’re out in the field and driving a University vehicle, do not have dinner at a supper club—even if it’s the only restaurant in town—because someone is sure to notice the car with the University seal parked out front and report this “inappropriate” activity by a state employee. Bob guided me with gentle nudges and taught me by example, as when we visited donors together. Our weekly meetings always included some family talk, a shared laugh or two, and some musings about the topic of the day. I was grateful to have such an empathetic boss who treated me with respect and was interested not only in what I did on the job but in my family and my life outside work. Through the years I worked with Bob, I learned a great deal from him, not only about history, but about how to treat one’s colleagues and staff. Bob contributed immeasurably to Iowa history but also to the lives of those of us fortunate enough to be around him. Bob’s knowledge of Iowa history was broader than the Missouri, deeper than the Mississippi, and a lot more solid than the Loess Hills. Iowa history is richer for his contributions. And all of us who knew him are richer for his friendship and his affection. The Iowa Women’s Archives no longer publishes a separate newsletter. The Libraries newsletter, Bindings, often features stories about Iowa Women’s Archives collections, staff, and projects.